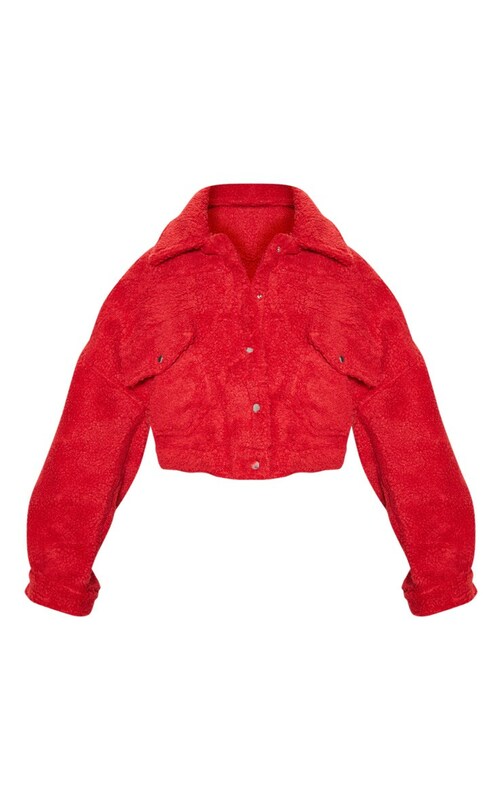 This jacket is essential to add to any girls wardrobe. Featuring a red borg fabric with pocket detailing and button fastening. 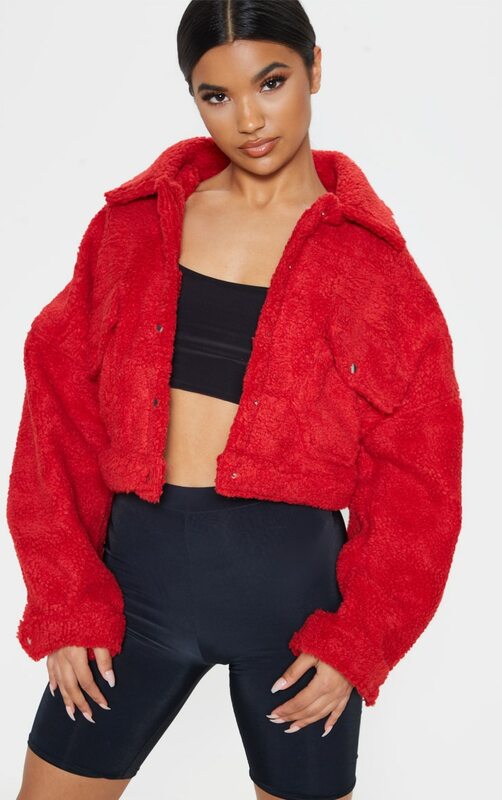 Style this jacket with jeans and a crop top for that off-duty look.